NU'EST W fans are furious at 'Idol Champ'. 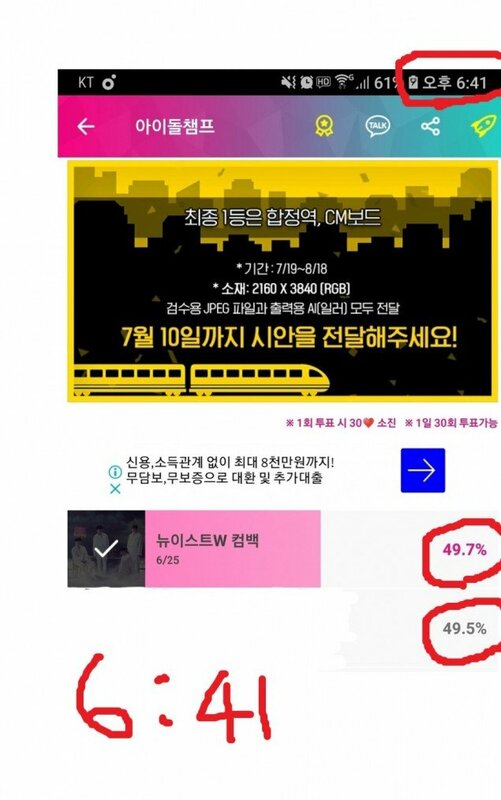 'Idol Champ' asked fans to vote for their favorites to get a subway ad. 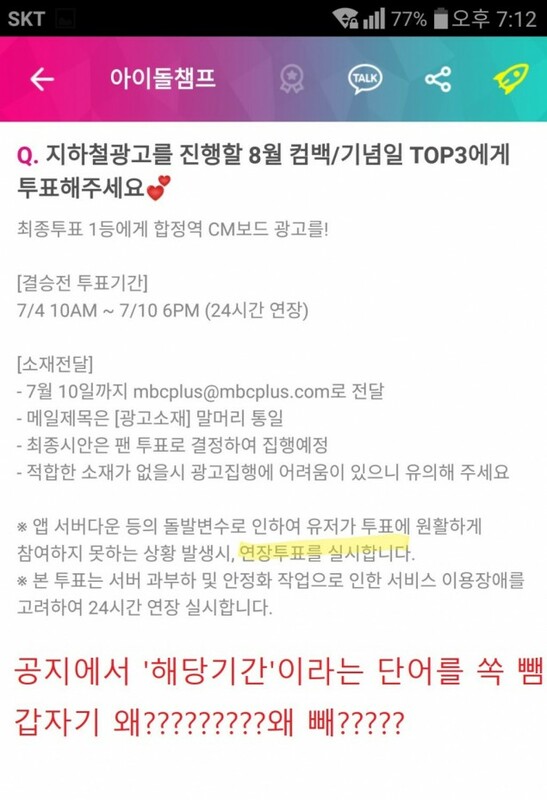 Voting was not free and fans had to pay (albeit a small amount), and originally, voting was supposed to end at 6:00 PM KST on July 9. However, due to server issues, 'Idol Champ' held maintenance from 5:20 PM KST to 5:40 PM KST, and changed the voting ending time to 6:40 PM KST to make up for the problematic time. The official announcement read, "As voting was not smooth for a period of time, we are extending the voting time as much as the problematic period." As of 6:39 PM KST, NU'EST W were winning the votes by 0.1%. One minute after voting ended at 6:41 PM KST, NU'EST W won the votes by 49.7%, only 0.2% ahead of the 2nd team. 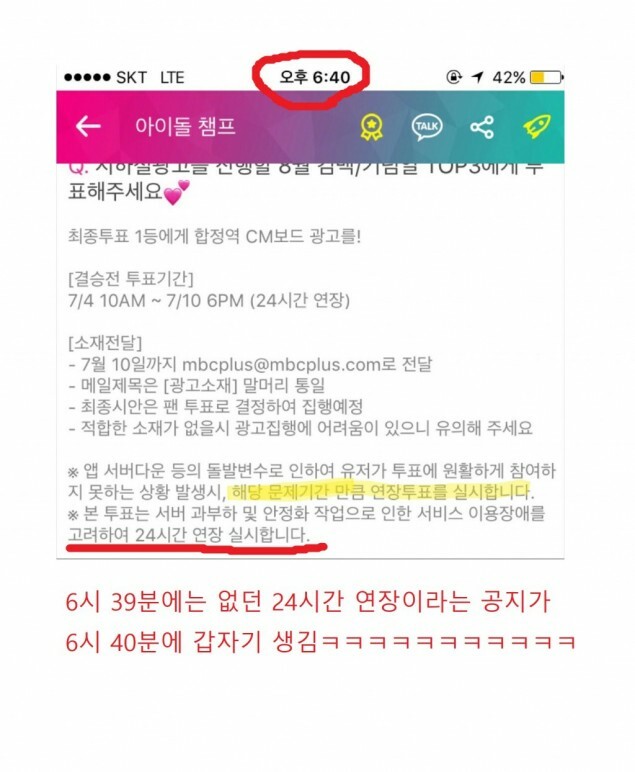 However, the problem arose suddenly when 'Idol Champ' decided to extend voting for another 24 hours all of a sudden at 6:40 PM KST. The announcement had not changed until 6:40 PM KST when voting was supposed to be over, and still read that the voting period was being extended to cover for the problematic time. Perhaps aware of their mistake, 'Idol Champ' later changed the announcement to just read that they were extending the voting period. NU'EST W fans were furious, and accused 'Idol Champ' of trying to use friction and competition between idol group fandoms to make money for themselves. 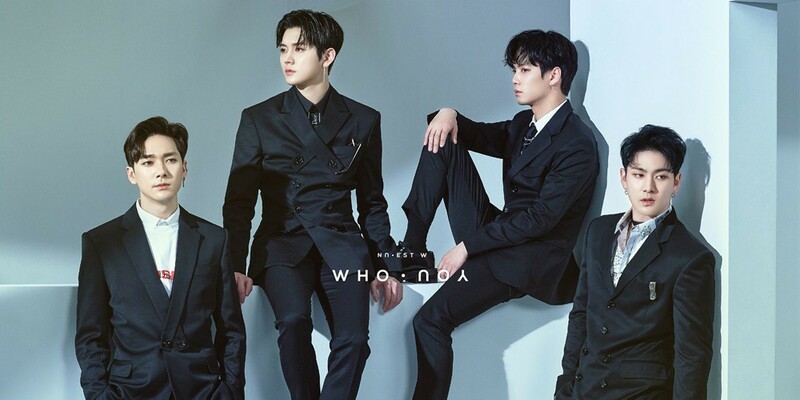 Furthermore, fans accused 'Idol Champ' of pitting NU'EST W fans against Wanna One fans, aware of the alleged friction among the two fandoms. NU'EST W fans are currently planning to demand refunds for all their votes, citing a change in terms of conditions without agreement. What do you think of the situation?